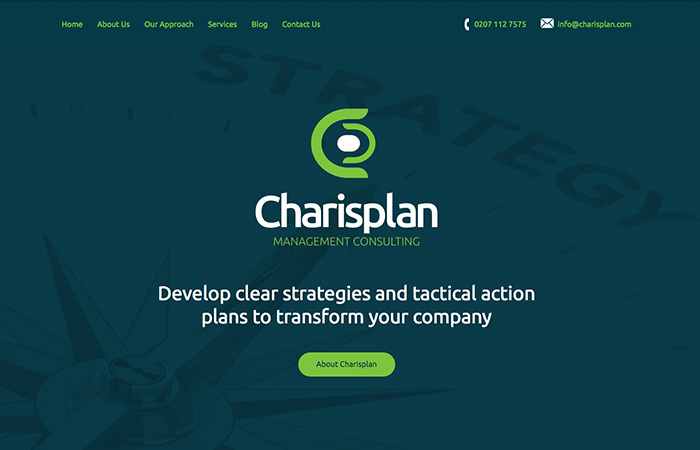 As business development strategists in London, Charisplan work with clients in both the private and non-profit sectors, providing them with strategy development and management consultancy services. Inline with their existing branding, Charisplan needed a freelance web designer to create a modern and professional web presence which sets out their services and how they can benefit their customers, along with a clear user journey and prominent call-to-action points. The web design features a WordPress CMS and is fully mobile responsive. It has been an absolute pleasure working with Tim Keay. He has done an excellent job with our web design, using very limited information to create a great site. Tim was very responsive to our demands and met all deadlines as required. I highly recommend Tim and look forward to working with him again in the future.